In the previous episode the real Mi Joo appeared infront of Se Gun and shake Nan Hee's life. It was Nan hee who told everything about Se Gun and her relationship now she wanted Mi Joo t go to Se Gun and not let him talk about her. Mi Joo finally find Se Gun was the same guy who met her at Namsan Tower. The two had the opposite personalities Mi Joo was full of herself and Se Gun was attracted to pretty girls. Mi Joo wanted Se Gun to give her importance and recognize her as for Se Gun who was use to of Nan hee 's polite behavior full of life, the two now started had slashes over little things. Once again Nan Hee left alone lonely and made us feel sorry. Se Gun treated Mi Joo well but couldn't satisfied his own heart. 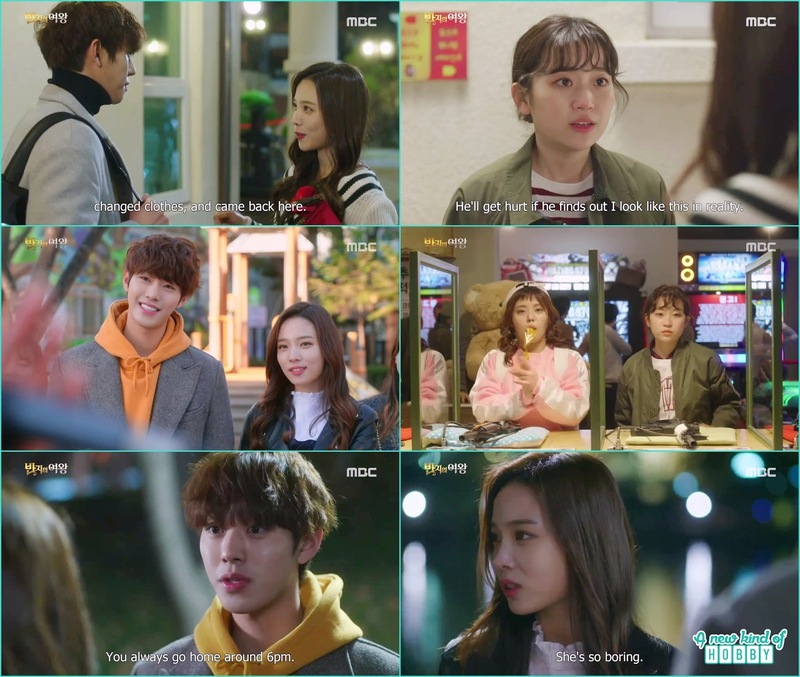 Nan hee shared all her loneliness with one and only best friend Tae Hyun who now realize he likes Nan hee. Also he was the one who bought Nan Hee's lost ring back. She become happy and rush back to home to give back the ring to her mom. Nan hee for the last time wanted to spent time with Se Gun and leave with happy memories. Se Gun ask Nan Hee for bicycle ride and they had a really happy time together. Se Gun smiled and laughed lively in Nan hee's company but didn't realize this fact. Nan hee wanted to give a present to Se Gun's mother but things weren't good and time was too cruel. the real Mi Joo appeared at the same boutique and tried the same outfit. Se Gun confused to see two Nan hee at the same moment. he wasn't delusional but was under the magical ring spell. The mean Mi Joo took off Nan Hee's magical ring to clear Se Gun confusion. His act was too cruel for both of them specially Nan hee. Her dreams castle smashed in no time. Se Gun then find out the reality of the magical ring. As nothing left between the two Nan Hee now focused on proving her abilities. She decided to take in fashion contest and was looking for a male model. Se Gun couldn't digest the fact that Nan hee was still happy leaving him behind and chatting with other man. he become a kind of jealous and doubted if she also used magical ring to met and impress other man but it wasn't so as he thought. In anger he just delete his contact from her mobile phone so there won't be any issue to contact each other in future. 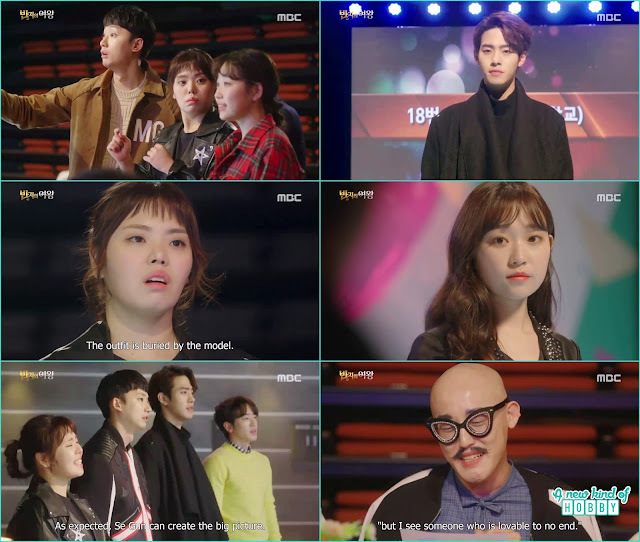 The fashion contest was a head soon Nan Hee choose Tae hyun to model for her design and Se Gun pursue Mi Joo to walk on ramp for him. It was really a fun scene Se Gun couldn't stand Tae hyun being model for Nan hee, he was all jealous and can't concentrate on his work. He also ignored Mi Joo who try to steal a kiss from him, he avoided but she was persistent and did it. Se Gun couldn't enjoy the time he spend with Mi Joo. They argue over little thing whenever he compare her with Nan hee. He was all depressed because of his mother and share it with Mi Joo but got ignored. This make him realize the time he spend with Nan hee. Mi Joo was full of herself so she left Se Gun alone. That was the time he wanted Nan hee to be with him. He tried to contact but already deleted the number. On his way back he met with the biggest Soju bottle not knowing it was actually Nan hee inside the costume. She consoled him normally like before and was caught by Se Gun through the perfume she was wearing. On the day of the fashion contest Mi Joo encounter her stage phobia and couldn't able to walk for Se Gun design. She was taken to the hospital along with Tae Hyun. Nothing could be done for both Nan hee and Se Gun model so both of them decided to help each other. We thought one of them will going to win but every time its not the same as you predict. Non of them become the winner yet they realize there is a long way waiting for them to be recognized so never give up the hard work. Nan hee found out her mother wasn't wearing the magical ring yet was happy with her father. She then found the ring on the floor and knew that everything wasn't abut the magic. Se Gun then approach her and wanted to start over. 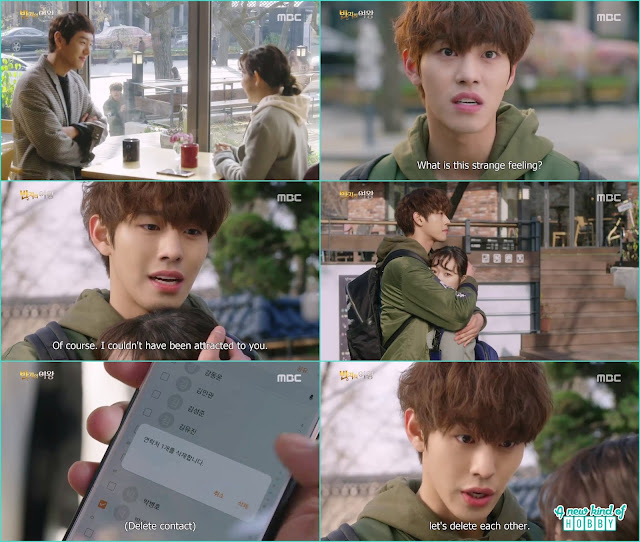 This time he genuinely propose Nan hee over the pretty girls and told her that its the first time he wanted the number he deleted. 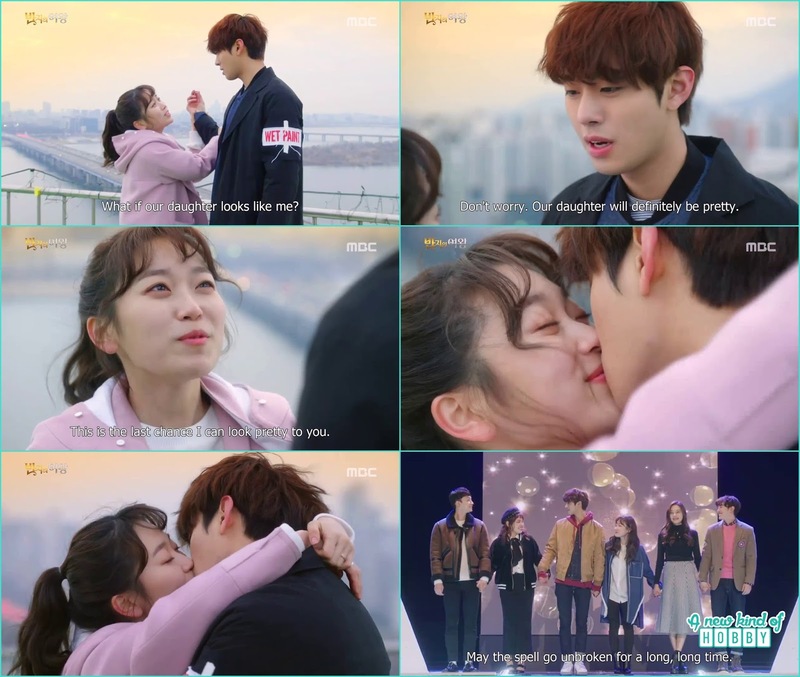 It was really a beautiful proposal which make Nan hee's eyes teary so were ours. We never expect this kind of beautiful proposal. The two become a real couple and was happy. 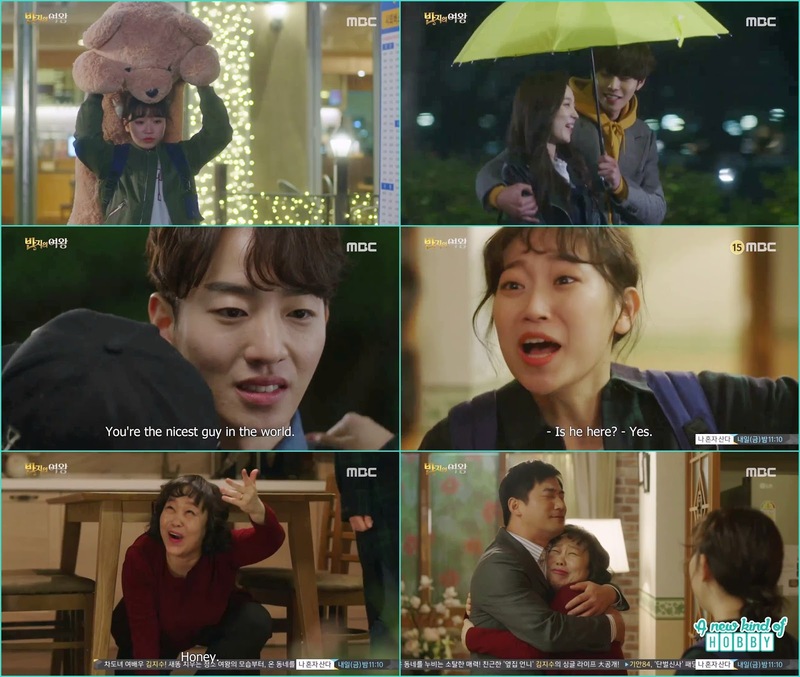 Nan hee received the confession she wanted from Se gun and threw the magical ring away as there won't be any use of it now. The ring spread its magic in the world and every one under that spell become happy ever after. In the 3 color fantasy series we like Queen of the ring More then others and recommend you to watch it, you will surely earn your time watching a unique kind of romantic love story. Stay tuned for more cool reviews keep visiting a new kind of hobby.